Hi! It’s been awhile…you’ll find most recipes I’ve done lately conveniently posted on our Facebook page at http://www.facebook.com/thecookingapprentice. Meanwhile, for all of you caramel and chocolate fans, adapted from Saveur Magazine Issue 119, here’s a recipe that’s got the best of both worlds! 1. Make the crust: Heat oven to 350˚. Combine flour, cocoa powder, and salt in a medium bowl and set aside. Using a handheld mixer, cream the butter and sugar in a large bowl until mixture is pale and fluffy; mix in yolks and vanilla. Mix in dry ingredients. 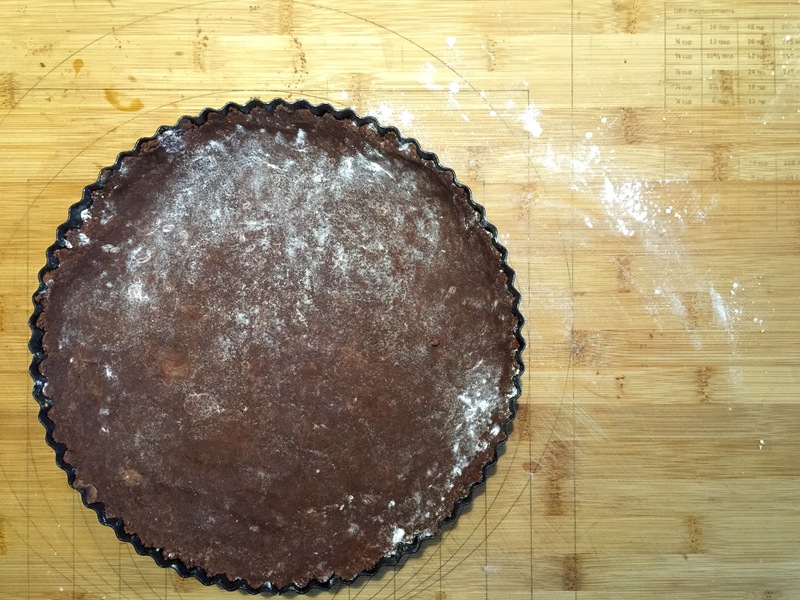 Transfer dough to a 9″ fluted tart pan with a removable bottom and press dough evenly into bottom and sides of pan. Refrigerate for 30 minutes. Prick the tart shell all over with a fork and bake until cooked through, about 20 minutes. Transfer to a rack and let cool. 2. Make the caramel: In a 1-qt. saucepan, whisk together sugar, corn syrup, salt, and 6 tbsp. water and bring to a boil. Cook, without stirring, until a candy thermometer inserted into the syrup reads 340°. Remove pan from heat and whisk in butter, cream, and crème fraîche (the mixture will bubble up) until smooth. 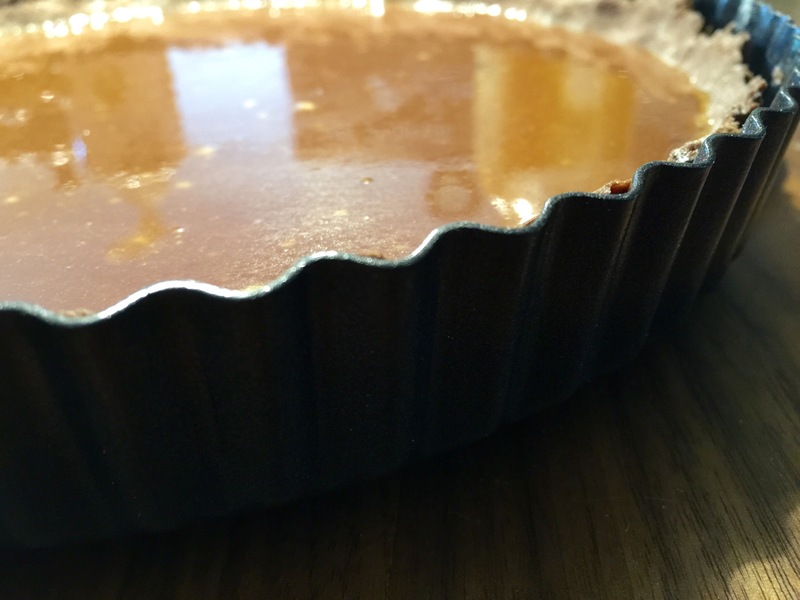 Pour caramel into cooled tart shell and let cool slightly; refrigerate until firm, 4–5 hours. 3. Make the ganache: Bring cream to a boil in a 1-qt. saucepan over medium heat. Put chocolate into a medium bowl and pour in hot cream; let sit for 1 minute, then stir slowly with a rubber spatula until smooth. 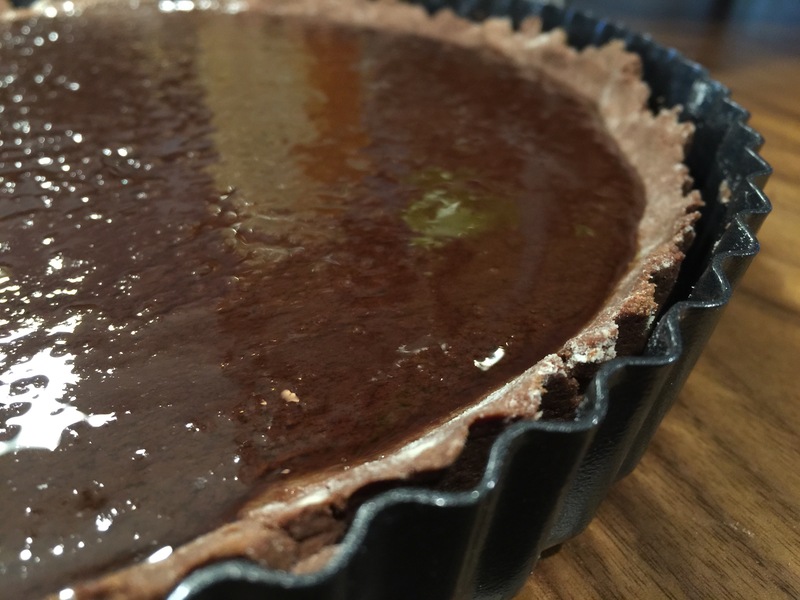 Pour ganache evenly over tart and refrigerate until set, 4–5 hours. 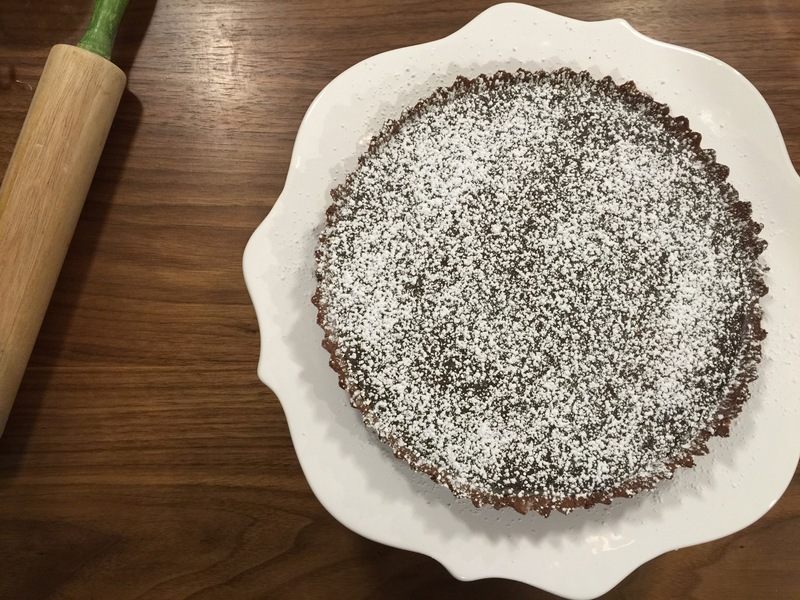 Sprinkle tart with sea salt (or confetti sugar), slice, and serve chilled. 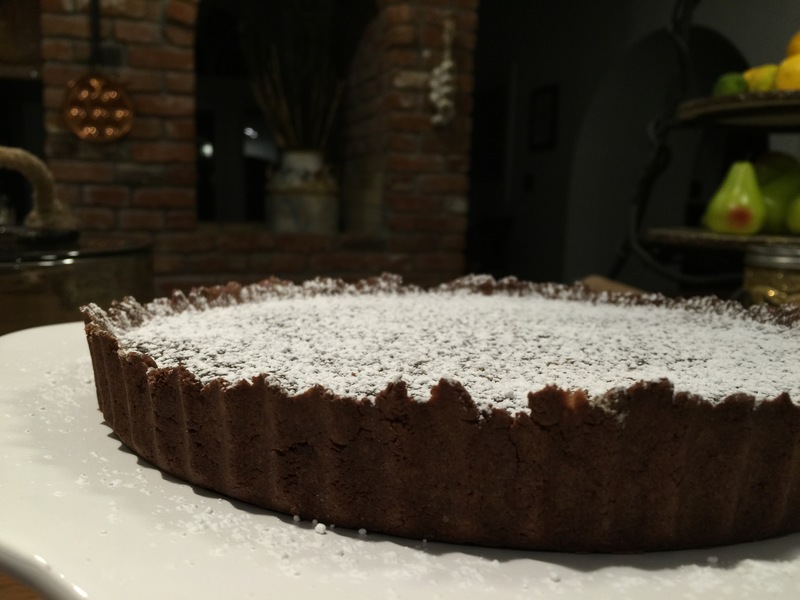 Posted in Baked Goods, Desserts and tagged baking, made from scratch, pastry, the cooking apprentice, The Cooking Apprentice LLC. Bookmark the permalink.